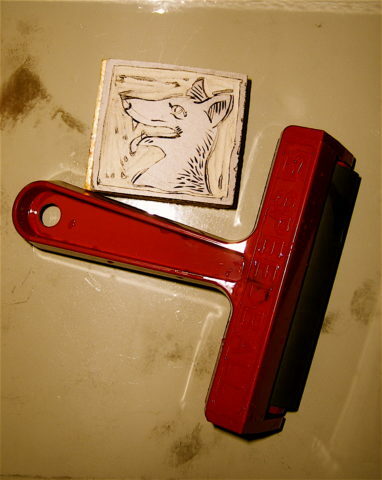 If you are into scrapbooking and/or rubber stamping, chances are you have a brayer. I have one. It’s still in the box. Still hasn’t been used. I bought mine right after I started stamping (using a 40% Off Coupon, of course!). I figured it was something I should have. Unfortunately, I have yet to be inspired. So what am I supposed to do with this thing? I have one word for you: SKY! The new Think Ink Technique for April has a tutorial for using a brayer to create a sky backround. Why didn’t I think of this? A few shades of one color and you have a really nice building block for a great project. The links below offer images of a blue ‘night sky’ and earthy ‘fall sky’. I’m looking forward to opening up that box and seeing what I can come up with!